Book promotion: the thing most of us love to hate but have to do. What follows is an overview of what I did before and after my first novel was published in May, 2012. Back in the misty regions of 2011, my publisher (Lethe Press) and I agreed that my first novel, Silver Moon, would be published in 2012. Armed with a copy of Jeff VanderMeer’s BookLife, I started planning. I knew I was going to need all the marketing help I could get and practice makes perfect and all that. I started out by trying to define my book. 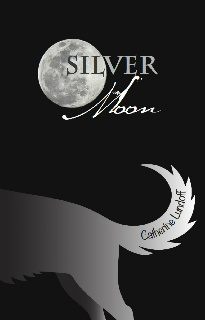 I had to understand what I was selling, apart from “my first novel.” Silver Moon is a novel about a menopausal woman who turns into a werewolf. It is also about developing a community and starting a new life. And my protagonist begins to come out as a bi woman over the course of the novel. It is not, however, primarily a romance nor is it erotica. This description helped me identify possible target audiences for the book: older women, werewolf fans, fans of LGBTQ fantasy, general fantasy readers, etc. Then I moved on to what I had to work with. Once I defined what I was selling and who I wanted to market the book to, I made a list of reviewers and bloggers who I thought might like the book. This list was based on favorable reviews of similar books or having worked with them in the past. In addition, I made a list of venues to approach for readings. I also kept my eye out for podcasts that were looking for guests and for guest blogging opportunities. Then I picked WisCon, the annual feminist science fiction convention that takes place each May in Madison, WI, for the book launch. I had done a previous book release at WisCon and had a 20-year history with the con, so I was reasonably confident that I could sell a book about a fifty-year-old woman who turns into a werewolf to some of the attendees. I would also able to combine my release with the Outer Alliance party at the con. I kicked off pre-promotion for the book several months before it came out, doing readings at the following: Marscon 2012, a science fiction reading series at DreamHaven Books, a multi-author reading at Quatrefoil Library in St. Paul, a blog interview on Out in Print and a podcast on lesbian and bi werewolves, all in March. Then I set up a reading at Women and Children First Bookstore in Chicago the weekend before WisCon. I also set up a reading at Outwords Books in Milwaukee for the week in between Chicago and Madison. I should mention that I knew that these two bookstores existed and hosted readings because other authors recommended them to me. Networking is my friend. At the beginning of April, I wrote up a press release and sent it to bookstores, review sites and other venues that I wanted to approach. This gave me a way to introduce myself to all of the various venues I hadn’t worked with before. By the time my ebook and print ARCs of Silver Moon showed up, I had created a list of 25 review venues and book bloggers. “25” was an arbitrary number that seemed achievable with the rest of my life schedule. How did it go? Well, to sum up, I did 5 guest blogs, four podcasts, three interviews, three bookstore readings, four conventions that included panel appearances and a reading/interview on Write On! Radio. Next up, I’ll be doing a taped interview and reading for a public access show on writing and three more conventions (Diversicon, Worldcon, Gaylaxicon), all with readings and panel appearances. The book has been reviewed on multiple blogs and review sites including Publisher’s Weekly and Lambda Literary Reviews. And I did all this over the course of about three months. Did it work? Honestly, I don’t know yet. The book has more buzz than my other books and my publisher says it’s doing well but I haven’t seen my sales figures yet. Even when I do, small press books take awhile to find their people, as a rule; sales figures for the second half of the year may be very different. Was it worth it? Definitely! Best con moment ever was having my Big Idea post run on the Thursday of WisCon weekend, which resulted in me meeting many swell people. Am I exhausted? Um, yes. The moral of the story is, I guess, that research and persistence can pay off when it comes to publicity. There is no one way to promote your book but planning can only help. Finally, take the long view. You’re in it for that book and the next one and the next. A bad week on Amazon is not the end of the world. Good luck! Now I’m off to go do some more promo before bed. What an informative post, Catherine. You really did a great job promoting your novel. It was actually really giving of you to share such detailed information here with other writers! Thank you. I wish you continued good fortune with your novel!! And thanks for having me in to post, Deborah! Great information. Congratulations on your novel. Stunning cover! This is exactly the way to go. Identifying outlets, audienecs, is crucial. For my 2009 memoir "My Germany," I researched Jewish Studies Programs, German Studies Programs, German-American cultural institutions. I sent out tons of individually crafted queries about the book, which was also being promoted by The University of Wisconsin Press. Over the course of three years, I had a book tour sponsored by the Jewish Book Council; two book tours in Germany sponsored by German groups or universities; and I made much more from speakers fees in total than some people get as advances for trade books. I also did some interviews, but my main goal was getting out there to speak about and read from the book to audiences of all kinds because I'm an experienced reader and knew that would help sell copies. The book is now in paper, still earning royalties. Me, I'm scheduled through Spring 2013 and am discussing gigs with two other universities for Fall 2013. It took an enormous amount of time (and I even studied enough German to do some of my readings in German), but it was worth all the effort I put into promotion. Great feedback! Thank you - this gives me hope that it will pay off even more than it has. I've definitely seen an increase in readership and in opportunities to promote and discuss my work in the last month. Next chapter of Jaydium coming up! Is This Story Too Big…Or Is The Book Too Small?